SpotOn SynPaper is a perfect solution for retail signage or trade shows requiring easy to apply temporary graphics. The self-adhesive polypropylene film can be hand-applied to surfaces like walls or panels, and can be taken down again within six months. 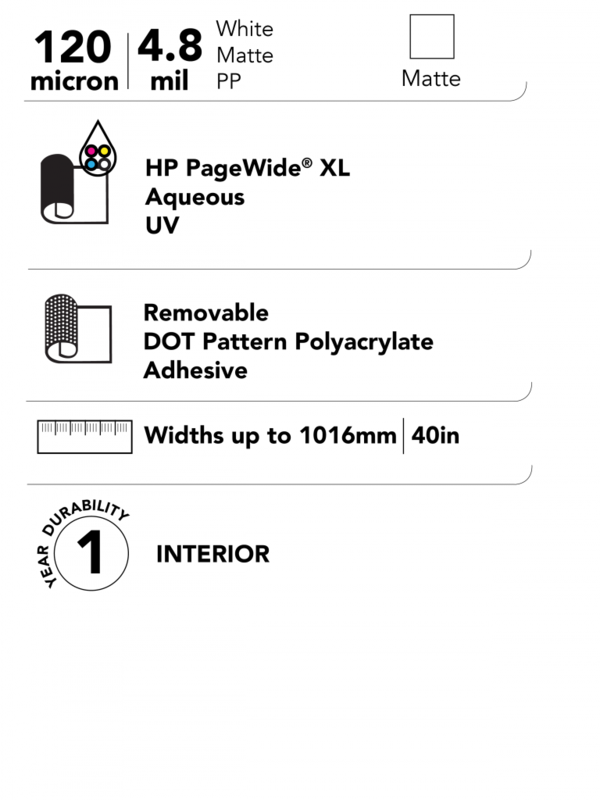 SpotOn SynPaper has been created to work with the HP PageWide XL series and produces similar excellent results with other aqueous and UV inkjet printers. 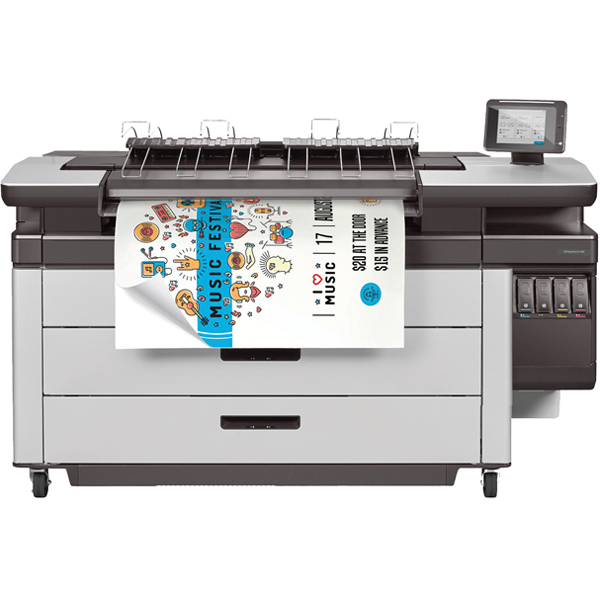 SpotOn SynPaper for HP PageWide XL allows for easy, bubble-free application of vibrant graphics. The film is particularly suited to printing graphics that will be applied to surfaces indoors. Trade shows will benefit from technology such as this, to produce advertising and signs for the event. Retailers can also use the technology to create similar signage that can be used for seasonal sales and for point-of-sale. SpotOn SynPaper is a printable matte white, self-adhesive polypropylene film with a dot pattern, removable pressure sensitive polyacrylate adhesive. The adhesive is protected by a single-sided, siliconized clay coated Kraft release liner. It is ideal for providing easy to apply graphics for seasonal promotions, trade shows and other short term wall and window applications.